Hadhrat Shaykh Abū-Alī Fadl ibn Muhammad al-Fārmadī at-Tūsī qaddasa-Allāhu sirrahū (may Allāh sanctify his secret) was a great master of Sufism in the fourth century AH. He received spiritual secrets by the Uwaisi method from Shaykh Abul-Hasan Kharaqānī quddisa sirruhū. He was son-in-law of Shaykh Abul-Qāsim Gurgānī quddisa sirruhū (d. 450 AH) and his chief spiritual successor. Shaykh Gurgānī received spiritual secrets from Shaykh Usmān Maghribī, who received from Shaykh Abū-Alī Kātib, who received from Shaykh Abū-Alī Rūdbārī, who received from Imām Junaid al-Baghdādī, and this chain goes to Sayyidinā Imām Alī, radiy-Allāhu anhum ajma’īn. He was born in 402 AH. His real name was Fadl ibn Muhammad. He said that in my young age, I used to study in Nishapur (modern-day Iran), where I heard one day that Shaykh Abū-Sa’īd Abul-Khair quddisa sirruhū (d. 440 AH) has come from Mahna and is speaking in a gathering. I went to visit him, and when I looked at his blessed face, I fell in love with him and the love of Sufis became firm in my heart. One day I was sitting in my room in the madrasah that suddenly I had a desire to see the Shaykh, though it was not a regular time for the shaykh to come out. I tried to be patient but failed. So I went out and reached the square, and I saw that the shaykh with a large number of followers. I also followed the shaykh who entered a place and engaged in Simā’ (spiritual singing). I sat at a place where the shaykh could not see me. During the Simā’, the shaykh was overwhelmed by ecstasy and tore up his shirt. After the Simā’, the blessed shirt of the shaykh was ripped into pieces which the shaykh distributed in the attendees. The shaykh took out the sleeve and called: O Abū-Alī Tūsī! Where are you? I thought the shaykh cannot see me neither does he know me, so there must be someone among his disciples of this name. Shaykh called again but I kept quite. When I called for the third time, the people said to me that the shaykh is calling you. I went to the shaykh and he gave me that sleeve of his blessed shirt, and told me to keep it safe. Thereafter, I received numerous benefits, lights and spiritual states in the service of the shaykh. It is said that there have been forty awliyā (saints) who were disciples of Shaykh Abū-Sa’īd Abul-Khair. Among them are Shaykh al-Islām Ahmad Jām and Shaykh Abū-Alī Fārmadī. One master of the Naqshbandī order has said that Shaykh Abū-Alī had been granted knowledge of inner thoughts but was not allowed to reveal it, while Shaykh Ahmad Jām was also given knowledge of thoughts and was ordered to reveal it. When Shaykh Abū-Sa’īd Abul-Khair left Nīshāpur, Shaykh Fārmadī came to the service of Imām Abul-Qāsim Qushairī quddisa sirruhu (d. 465 AH) who was a great Imām of Sufism and is author of one of the earliest books of Sufism called Risālah Qushairiyah. He told the Imam all about his spiritual states, on which the Imam asked him to continue his studies. He followed the advice and began studying, and his spiritual enlightenment grew every day. He says that I studied for three years, until one day I took the pen and found it empty. I went to the service of Imam Qushairi and told him about this. He said: when the knowledge has abandoned you, you should also abandon it and engage in the Spiritual Path. I brought my belongings from the madrasah to the khaniqah and began serving the Imam. He was a sincere and true servant of his master. One day, the Imam went to the bathhouse and he also accompanied him. He filled the bath for him with a few buckets of water. When the Imam came out, he prayed and then asked: who filled the bath with water? He did not reply, fearing that he might have done something against his wish. The Imam asked again, and then again for the third time, so he replied that it was this servant. The Imam said: O Abu-Ali! whatever Abul-Qasim Qushairi has achieved in seventy years, you have achieved with only a bucket of water. He continued to serve the Imam for some time and received spiritual training. One day he was overwhelmed by a strange spiritual state, and reported this to his master. The Imam replied: Abu Ali! My journey is only to this station, and I do not know what is ahead. Hearing this, he thought: now I need a master that can take me higher than this station. Then he met Shaykh Abul-Qasim Gurganī, who made him a gem of the spiritual world. 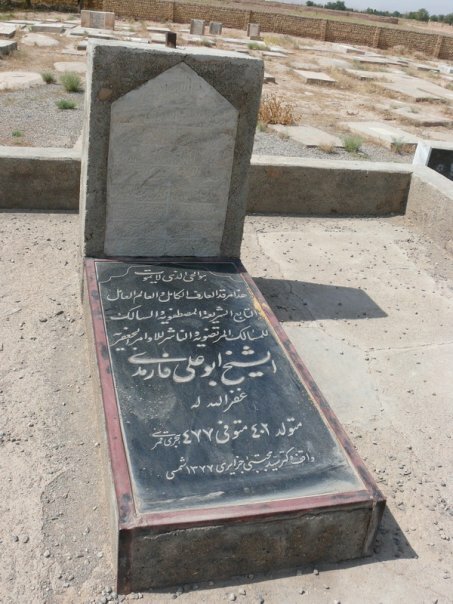 Shaykh Fārmadī passed away in 477 AH (or by some sources in 511 AH). 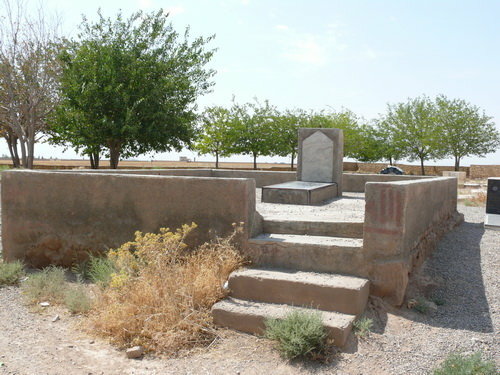 He is buried near his village Fārmad, about 20 km north of Mashhad city, in northwest Iran. The next in the Naqshbandī Mujaddidī Tāhirī spiritual golden chain is Khwāja Yūsuf al-Hamadānī. Hadharat al-Quds, by Shaykh Badr ad-Din Sirhindi. This entry was posted in Iran, Masha'ikh. Bookmark the permalink. Allah aur Rasool saw key piaray doost. Har marz ki dua. 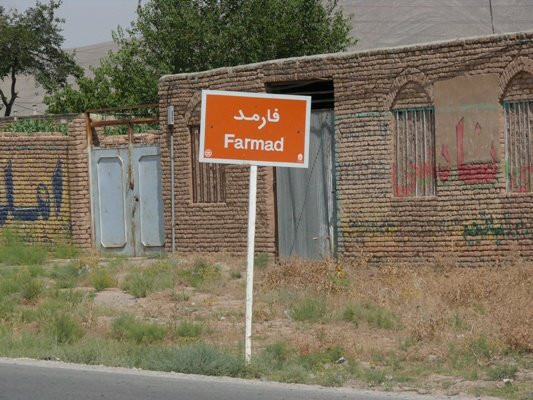 Thank you for the info .. Long to be at Farmad, in presence of the Sheikh .. May Allah grant us his “Sahbat” ..